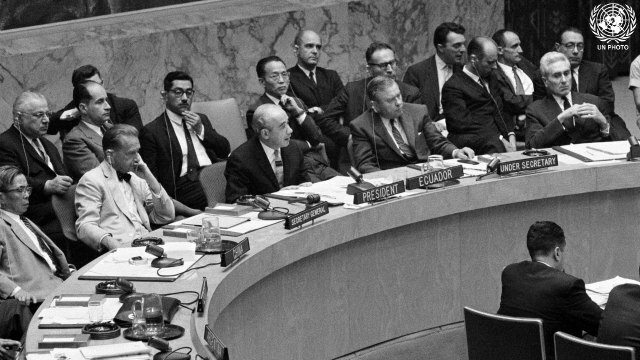 The Security Council discusses the admission of Somalia at the 871st meeting. 12. ls, Delegates raising hands to vote. President Correa announces adoption by unanimous vote. 945 49.